Cetaphil Gentle Skin Cleanser is specially formulated and clinically proven for everyday cleansing of even the most sensitive skin. This unique, soap-free and mild lathering formula rinses easily leaving even sensitive skin soft and smooth. 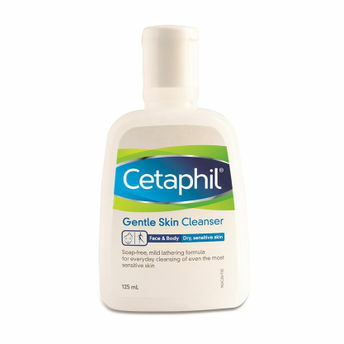 The Gentle Skin Cleanser from Cetaphil is a mild, non-irritating formulation that soothes skin as it cleans. In fact, it's gentle enough for a baby's delicate skin. Designed specifically to work for all skin types, it is a simple, yet highly effective way to care for your skin. Explore the entire range of Cleanser available on Nykaa. Shop more Cetaphil products here.You can browse through the complete world of Cetaphil Cleanser .Alternatively, you can also find many more products from the Cetaphil Gentle Skin Cleanser range.